See image 30796. 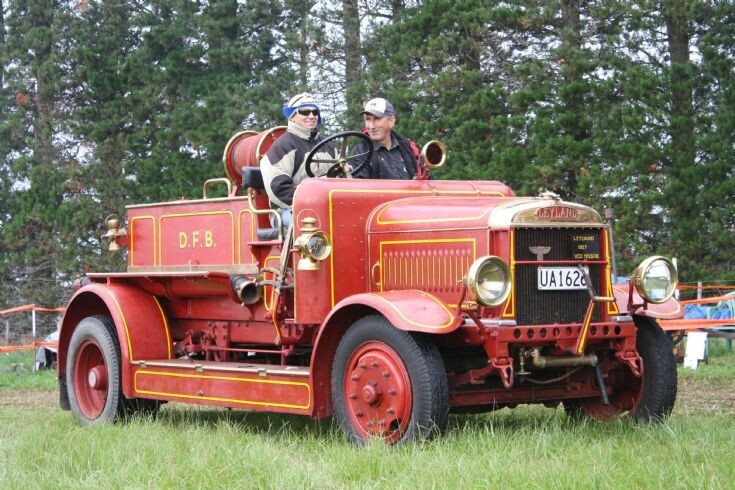 This 1927 Leyland was new to the Dunedin Brigade. It was eventually sold to the Springfield Volunteer Brigade. It is now in private ownership. To my eyes, these trucks looked a lot more rugged and purposeful when fitted with the solid disc wheels and relatively chubby pneumatic tyres. Added by Rob Johnson on 27 August 2017. Added by Malcolm Nell.malcolmanddoreen@xtra.co.nz on 11 June 2018.